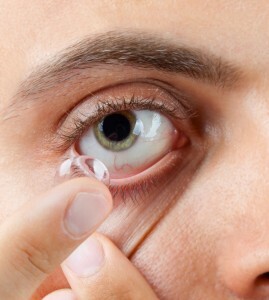 Jul 15 Comments Off on Breakthrough to make contact lenses safer than ever? While contact lenses have improved the lives of millions of people around the world in recent decades, allowing them to see clearly without the need for sometimes inconvenient spectacles, there has at times been some doubt about their safety. The vast majority of eye patients experience nothing but comfort and ease when choosing contact lenses over glasses, but there is still a small minority who may have run into problems, often arising from a bacterial infection. However, researchers at National Jewish Health and the University of Texas Southwestern Medical Center have announced the discovery of a new method to boost the fight against such afflictions. It is also thought that the breakthrough could have applications for bacterial infections associated with severe burns and conditions such as cystic fibrosis. Their findings were published online in the journal Investigative Ophthalmology and Visual Science. Senior author Jerry Nick, associate professor of medicine at National Jewish Health, commented: “Infections by the bacteria Pseudomonas aeruginosa can cause severe scarring and vision loss when they spread to the cornea. “By breaking apart a molecular scaffolding that encases the organisms and makes them more difficult to eradicate, we were able to significantly reduce bacterial infection of the cornea,” he added. Under normal circumstances, the eye fights infections through a variety of defence mechanisms, such as blinking and tears, which help to remove bacterial organisms from its surface. However, contact lenses can occasionally hinder the eye”s effectiveness at doing so, thus enabling bacteria to creep under the surface of the lens as it rests against the patient”s cornea. If those rogue bacteria infect the corneal tissue, they can destroy its delicate cells, leading to a risk of scarring or vision loss. This condition is known as microbial keratitis and luckily only affects around two to four lens wearers per 10,000 each year. While eye infections can usually be treated with antibiotics, it can sometimes be difficult to eliminate the bacteria on contact lenses, particularly when they form what is known as a biofilm. This is essentially a matrix or “web” that harbours and encases communities of the organisms, making it harder to get rid of them. The researchers were able to confirm earlier research findings, which revealed that cellular debris from immune cells fighting the infection actually provide the “raw materials” needed for the biofilm to appear. With this in mind, the scientists used specially-selected enzymes and chemicals to break down the bonds of these elements that support the hardy film. This treatment was found to reduce biofilms on the contact lenses by almost 80 per cent, as well as reducing infection of the cornea by more than 40 per cent. Furthermore, the researchers saw no evidence of any harm caused by the breakthrough treatments. Danielle Robertson, first author of the study and assistant professor of ophthalmology at the University of Texas Southwestern, described the results as “very promising”. “[The findings] point to potentially new methods for removing bacterial biofilms from contact lenses surfaces, thereby reducing the risk of microbial keratitis, as well as for the treatment of infections by Pseudomonas that are associated with cystic fibrosis and severe burns,” she added.